The actress inaugurated a popular clinic in Hyderabad and was looking stunning. Samantha Ruth Prabhu was snapped at a clinic earlier today to inaugurate their new specialty wing. 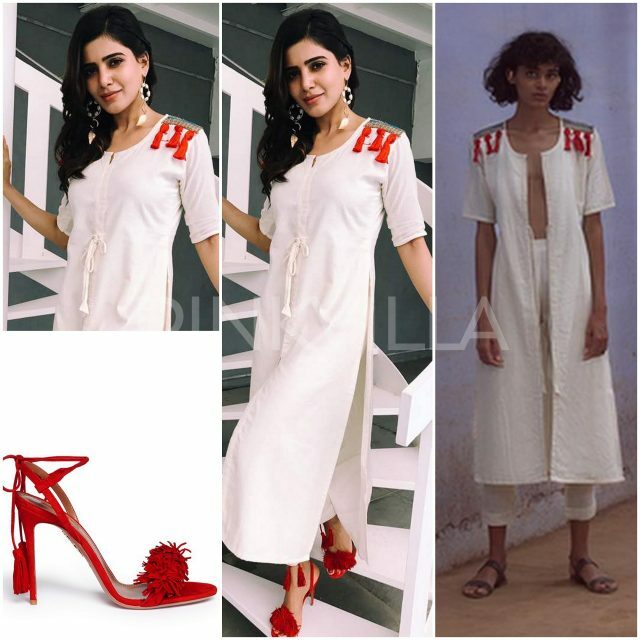 Wearing a cotton tunic with red tassel detail and matching cropped pants, she styled her look with tassel detail Aquazzura sandals and gold dangling earrings. Devoiding her face of too much make up, she kept her make up minimal and wore her hair in side swept curls. The look was pretty and perfect for a day time event. We love! You?